Sometimes I come across stuff that’s so cool that I get a bit overexcited. Pour myself a large glass of wine, refill for politeness’ sake and then shout something like OMG CHECK THIS OUT!!! from the top of my fingertips (this being the computer and all). This post from the fabulously, brilliant Hero Brown, founder of Muddy Stilettos over in Bucks / Oxon is just one of those things. Read on and you’ll see what I mean. When shall we go peeps?! 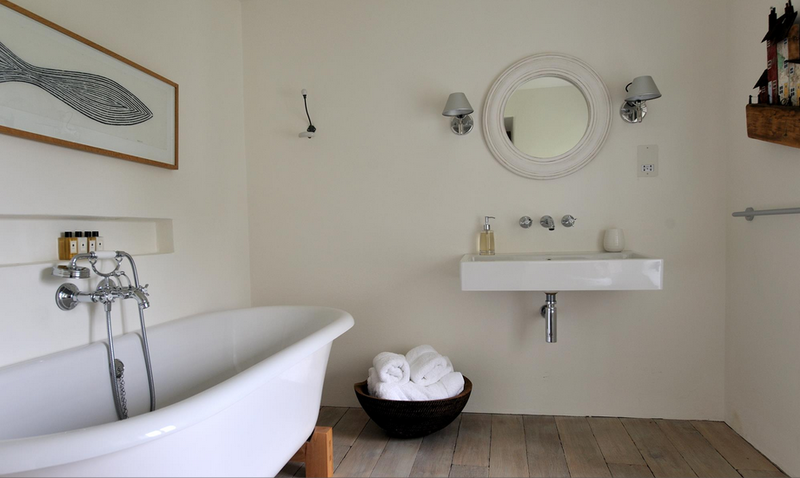 It’s been interesting over the last few years watching the rise of self-catering accommodation – think how mainstream Air B&B has become for example – and how renting a place now genuinely can compete with a hotel stay. This is the space into which Perfect Stays classily slinks, its properties (mainly across Cornwall and Devon but also into Somerset and North Yorkshire) so beautiful and stylish, ticking all the boxes of a half term, summer or special occasion boxes that I’m almost tempted to give myself the challenge of working my way systematically through them. 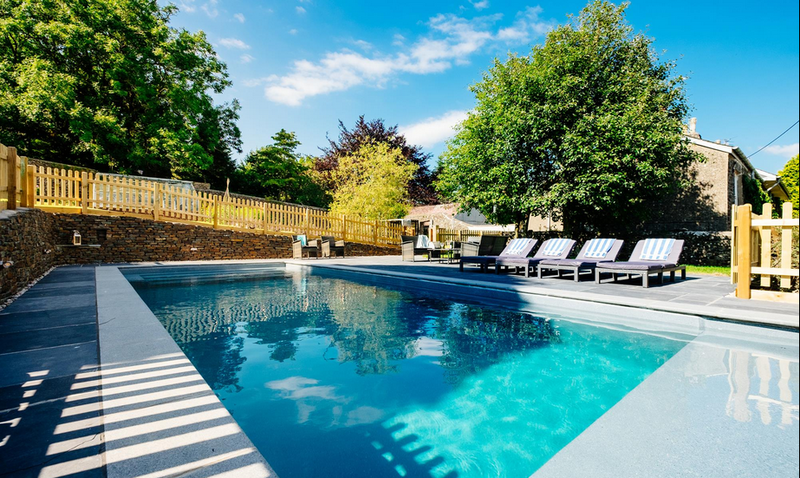 Perfect Stays describes itself ‘a luxury letting company’ but fear not, no need to sigh in resignation and go back to Rural Retreats for the nth year. No, no, no! This company is not in that buttock-clenching price bracket where you think that only friends of bankers and landed gentries will ever actually go there especially, if as I do, you like going away with your friends and splitting the cost of things. It’s probably easiest to show you want I’m talking about. 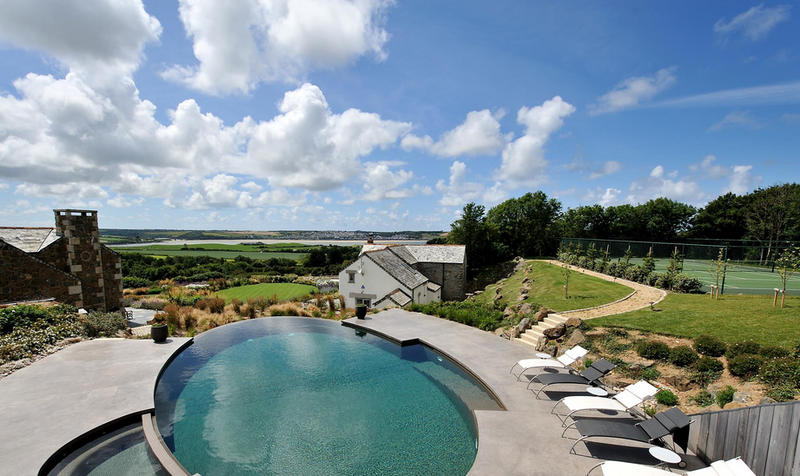 Get your peepers around these properties. 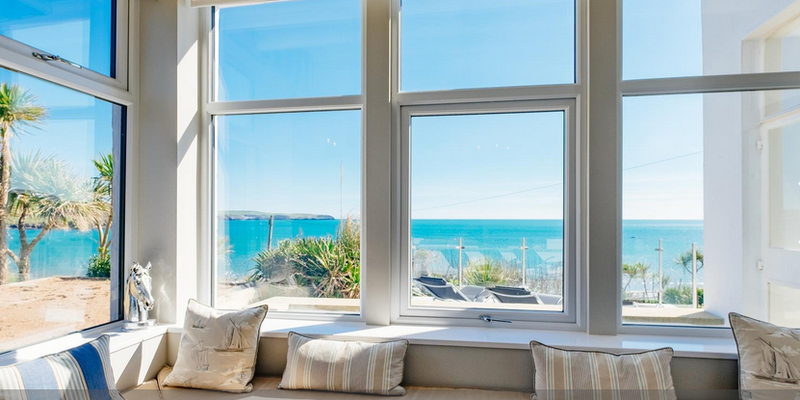 Here’s this one (above) – a 6 bedroomed, sea-viewed, pet-welcoming, 12-14 people open plan modern beauty in North Cornwall property in Harlyn Bay, that costs £2400 per week. Share that with two other families and it’s £800-1150 a week. In Cornwall! See what I mean?!! 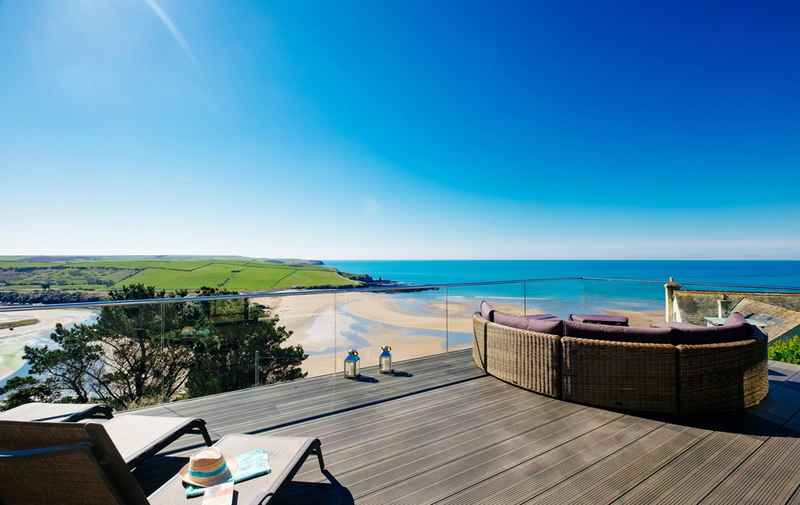 Or this number in Devon (below), a 5 bedroom, 10-12 person house looking out over the beach in Bigbury-on-Sea (an Area of Outstanding Natural Beauty), for £1600 per week in winter or -£3400 in the summer. That’s three family of fours, so just over a grand each. For this view. 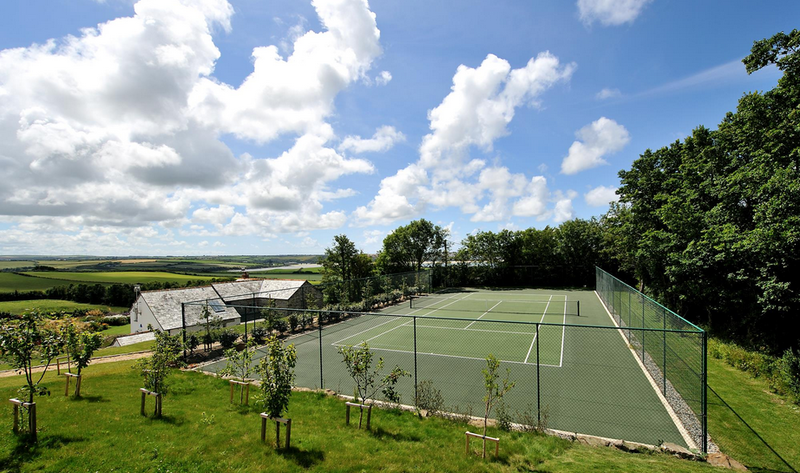 It has a tennis court too if you can be bothered to move from this view. 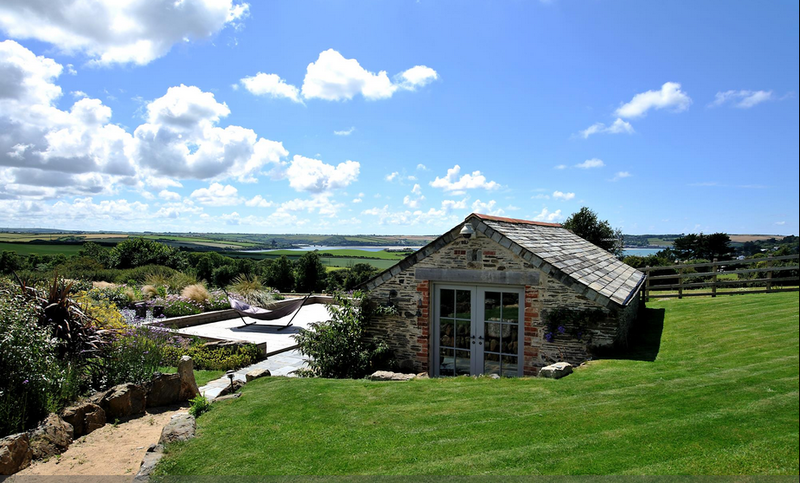 This house fits 8-10 people and costs £2000 low season per week, going up to £3250 if you want to book for the one week still available in June or the £5k for the only July week. Bad luck for the summer hols, this one is fully booked and no flippin wonder. I think for me the big selling point of these properties is that they are so beautifully, stylishly appointed in every room. Everything is immaculate. 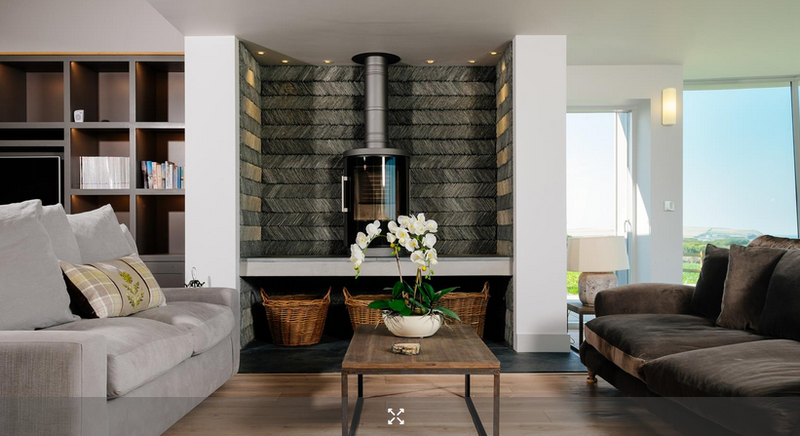 You feel like you’re stepping into the pages of Homes & Gardens or Elle Deco, and although there are some period properties, the interiors of the majority of these properties are clean and modern. And there are so many photos of the properties on the website – it’s one of their selling points – that you won’t get any nasty surprises of the ‘single room actually a broom cupboard’ variety. 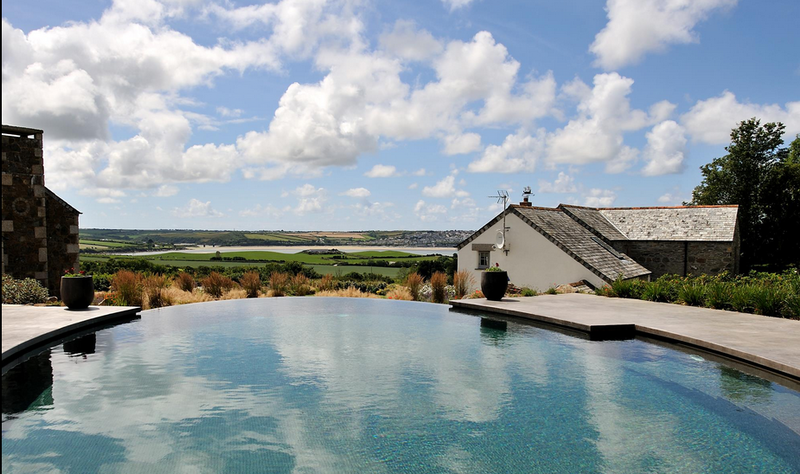 To top it off, there’s an in-house conceige service that’s part of the price, which basically means someone local with insider knowledge who can help you book restaurants, tell you cool places to go (though *ahem* no need for that in Cornwall or Somerset as Muddy is well and truly alive and kicking in those counties) and generally help out to make your holiday totally brilliant. I have my eye well and truly on a Devon jaunt this summer. I’ll report back when I do, but if you beat me to a stay, let us know your experience. The places are already looking very booked up – some of them are sold out for summer already – so my advice would be to get onto it zippily, or snap one up for 2017 with mates.